You could have just opened one up, they are cheap and available. I did years go, was surprised that the FET, while in a small package, was still a recognizable device. I was expecting blob of epoxy. 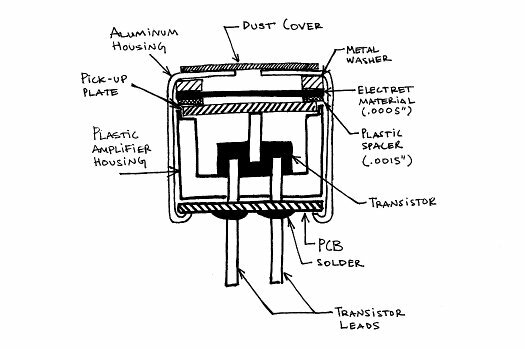 I think it was 1968, Popular Electronics had an article about how electrets worked, and even had a sidebar about making your own. Used the high voltage from a color tv set to provide the charge. Electrets are like electrostatic headphones, except no HV supply needed. 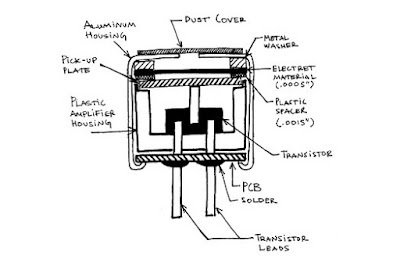 While there have been construction articles about making electrostatic speakers and even headphones, I've never seen a construction article about making electret headphones or even speakers.